Hikers are the worst to shop for. You never know what we already have, what we need or don’t need, or what gear is new and exciting versus out of date. We’re always trying to get our pack base weight down, so we don’t want anything extra we have to carry. Also, it’s nearly impossible to know what tent or sleeping bag an individual wants. I would suggest going with accessories and clothes when shopping for a hiker. Here’s some gift ideas to make shopping for your thru-hiker easier. There’s no such thing as too many pairs of high quality, pretty colored, merino wool socks. This is my favorite brand because of how much use I can get out of them and the comfort factor. Phones can always use some extra battery charge while on trail. And if your thru-hiker has a charged phone, you will actually be able to contact her! Win, win for everyone. Power banks are easy to find. Wal-Mart has one for about $20 that will charge my phone a few times. You can really spend anywhere from $10 to over $100 on power banks. I find that the cheap ones only last for a hiking season or two (before they stop holding a charge), but I don’t mind replacing them since the price is low. Dry sacks are one of those gear items that need to be replaced every few years because they lose their waterproofing. Even if your hiker doesn’t need one now, she probably will in the future. This headlamp weighs 4.2 ounces with batteries. It’s perfect for ultra-light hikers or an upgrade for those who aren’t. I have this headlamp, and I recommend it to anyone who will listen. like to add them to my Pasta Sides in the evening. They are delicious. I have two of these because I wore my first one almost daily for a year (I’m a wilderness professional so I’m allowed to wear the same outfit everyday to work) until I got holes in it. Then I bought a second one to be my “nice shirt”. They are breathable, warm, soft, and they look good. This is the lightest down jacket out there. The women’s version is 6 ounces. I see hikers wearing this jacket more than any other down jacket. You can also get one that comes with a hood. I don’t have this, and I really want it. So they can represent the trail while not on the trail. Backcountry Ninjas has some awesome trail inspired t-shirts, and a percentage of profits are donated to the organizations that maintain the AT, PCT, and CDT. 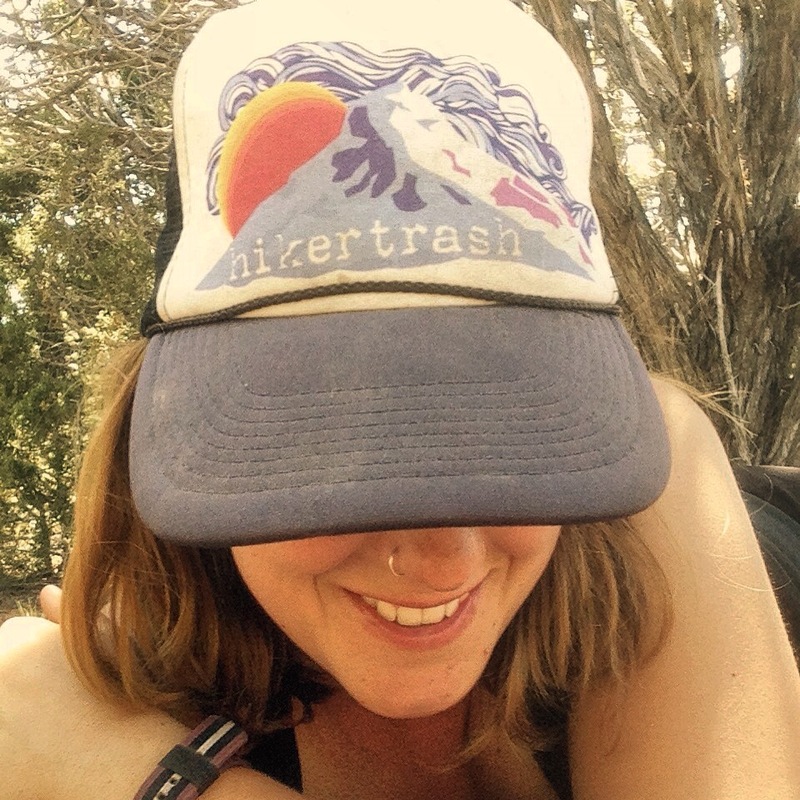 We Are Hikertrash has some trucker hats that are pretty sweet. I wear mine all the time. The useful gag gift. The Deuce of Spades. This is sort of like a gag gift for hikers, except it’s actually useful. It’s a trowel to dig catholes with. It only weighs 0.6 ounces. I use mine every time I go into the wilderness. According to the Tent Lab website other uses include: using it as a tent stake, opening beer bottles, building sand castles. Been trying to come up with some gift ideas for my wife, thanks for the ideas. Now just need to get to the store…. I’ve been wanting that damn headlamp since Nepal, merry Christmas to me! Haha. Dreams do come true.